Being a green card holder gives you nearly all the same rights and benefits as any U.S. citizen. You can apply for the same jobs, schools, and universities as citizens, and you have the same access to public benefits such as healthcare. But only citizens can vote in U.S. elections, serve on a jury, and only citizens have U.S. passports. 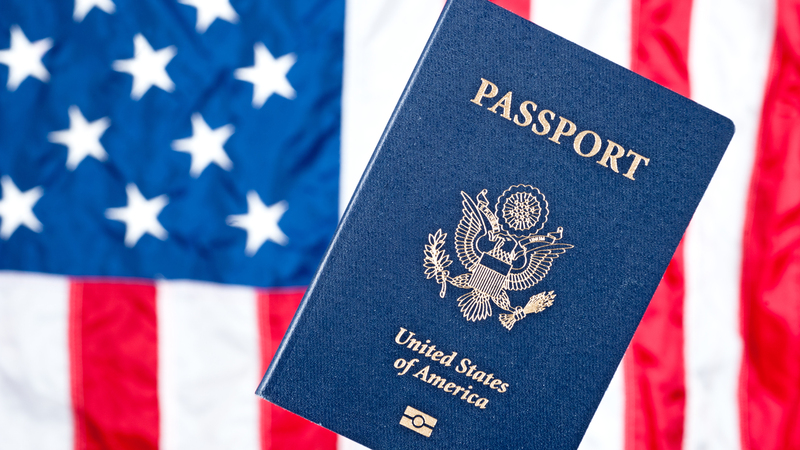 If access to a U.S. passport is important to you, read on. Like permanent residency, U.S. citizenship is permanent and cannot be revoked (except under highly exceptional circumstances). Once you have your passport, you are free to live and travel wherever you like, for as long as you like; there are no physical presence requirements in the U.S. The freedom of movement gained through having a U.S. passport is priceless, and it’s one of the big benefits of the EB-5 program, which gives you access to the crucial first step of the process: a U.S. green card. Once you’ve received a green card, becoming a U.S. citizen is a pretty straight forward process, and it’s mostly just a question of waiting out the required 5-year time period. Age: You must be at least 18 years old to apply for citizenship. Children younger than 18 naturalize (i.e. become citizens) automatically when their parents become citizens (although there is some paperwork to be completed). Residency: You need to have lived in the U.S. as a lawful permanent resident (i.e. green card holder) for at least five years prior to filing your application. This 5-year period of lawful permanent residency begins when you receive your conditional green card, and you need to have been present in the U.S. for at least 30 months during these five years. You also need to have been residing in the State you’re applying in for at least three months at the time of your application. Language: You must be able to speak, read, write, and understand English. This aspect is not usually an issue for South African emigrants. Knowledge of the U.S.: You must have a certain level of understanding of U.S. history and principles of government. Good moral character: You must be able to demonstrate that you are a person of “good moral character”. In other words, you pay your taxes and you don’t have a criminal record. Include all necessary documents, and any additional evidence if relevant, to demonstrate that you are eligible for citizenship. All applicants need to submit biometric data so that the FBI can run criminal background checks. You’ll receive an appointment notice from USCIS letting you know when and where to have your biometrics taken. A USCIS officer will review your application and may question you about any information submitted in your application. You will also then take an English and “civics” test (this is a test on U.S. history and principles of government, and USCIS offers study materials online to help you prepare for it). You should get your interview results on the same day, which effectively lets you know whether or not your application has been successful. If you fail the English or civics test, or if the USCIS officer feels that further supporting documents are required, your application will be ‘continued’, and you’ll need to come back for a second interview in 2-3 months. You will be sent written notice to say whether your application has been granted or denied. This is the final step of the process, and you are not officially a U.S. citizen until you’ve taken the Oath of Allegiance at a naturalization ceremony administered by the USCIS. You will receive your Certificate of Naturalisation after taking the oath. Once you’ve taken the oath and received your certificate, you can apply for a U.S. passport. Once you have this in hand, you can choose to stay in America, move back to home country – or explore somewhere new altogether!